Using our knowledge gained over 25 years in the Storage Equipment market, we can design a storage solution tailored to meet your specific needs. This includes; meeting with you on site to discuss your operation and the issues at hand, type of materials handling equipment being used, undertaking a site survey of the installation area, project time frame and budget. With this information we select the most suitable equipment and complete design and layout plans to provide a clearly documented proposal. At all stages we liaise with you to ensure the final outcome meets the objectives. 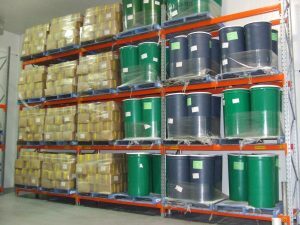 All major brands of Pallet Racking with installation that conforms to the tolerances and standards recommended by AS 4084 – 2012: Steel Storage Racking. Our installation team has many years of experience and will complete your installation according to the manufacturers’ recommendations and compliance with any specific Australian Standard. SAFETY Maxstor Pty Ltd operates under a comprehensive Site Safety Plan to ensure that all our workers conduct installation activities in a safe manner without risk or harm to themselves and our Customers employees, plant and equipment. We provide Job Safety & Environmental Analysis/Safe Work Method Statements (JSEA/WMS) for all installation activities on request. Did you know that Australian Standard AS 4084 – 2012 recommends that pallet racking should be carried out on a regular basis and at least every 12 months (Section 8.2). Faulty or damaged pallet racking can lead to failures resulting in serious injury to people and property. 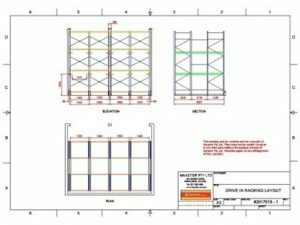 Rack audits are an essential means of ensuring that your pallet racking is being used safely and in accordance with the original design, that any damages are identified so that corrective action can be taken for the rackiing to be repaired and that safe working loads are being adhered to. Maxstor can provide an audit of your pallet racking to identify any areas requiring corrective action and provide a written report.